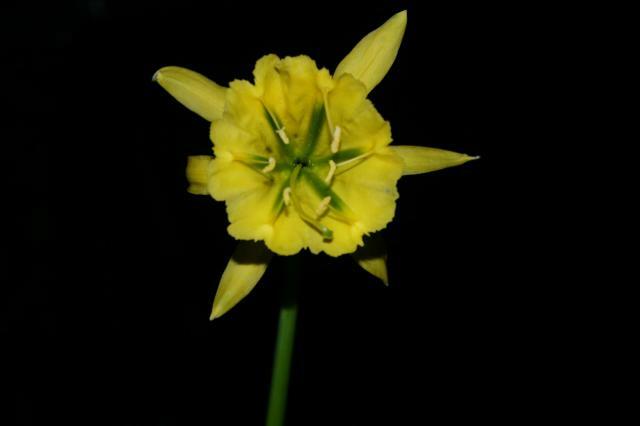 Ismene is a member of the Amaryllidaceae family with 10 species. 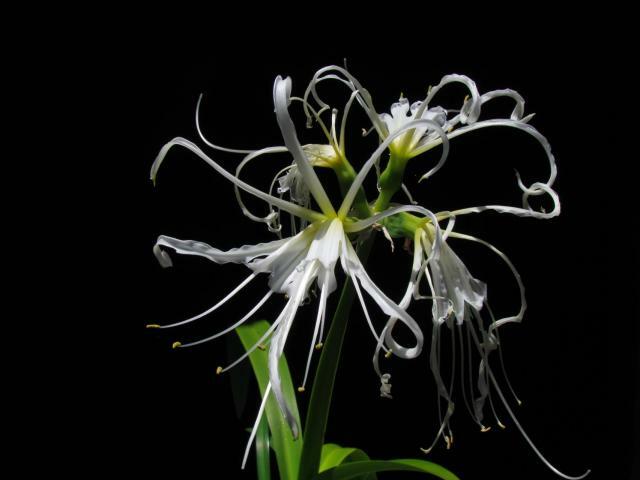 It was segregated from Hymenocallis by Meerow in 1990. 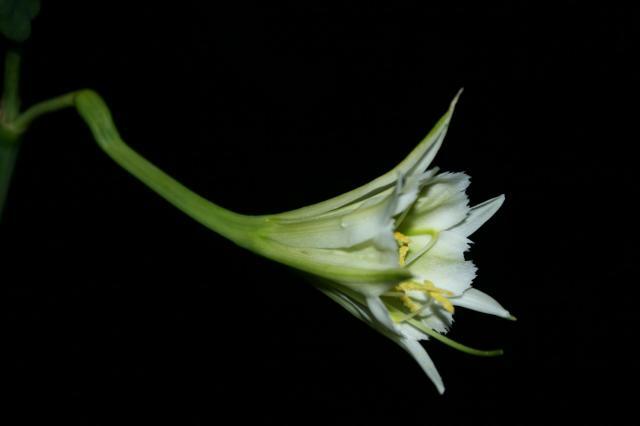 The main feature that distinguishes this genus from Hymenocallis is the pseudostem which is formed from elongated leaf sheaths. 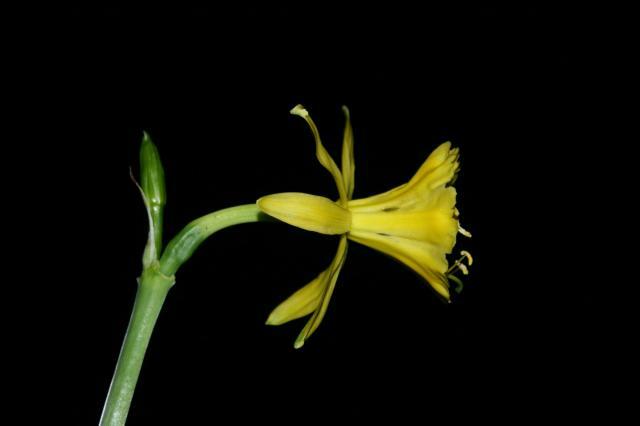 In addition, the flowers are declinate to pendulous and the staminal cup is usually striped green. 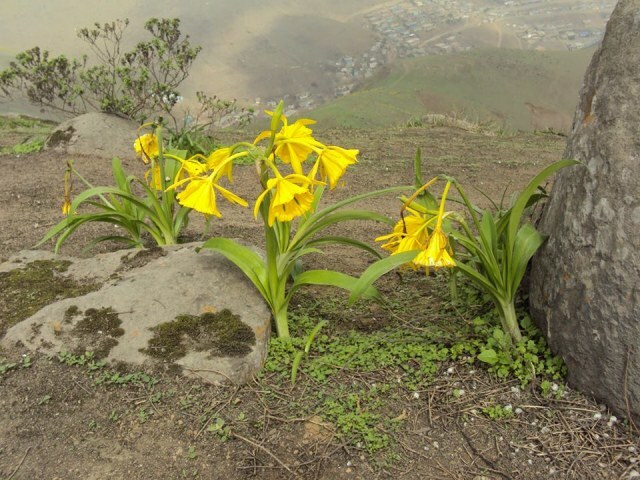 Species are endemic to the Central Andes of Ecuador, Peru and Bolivia. 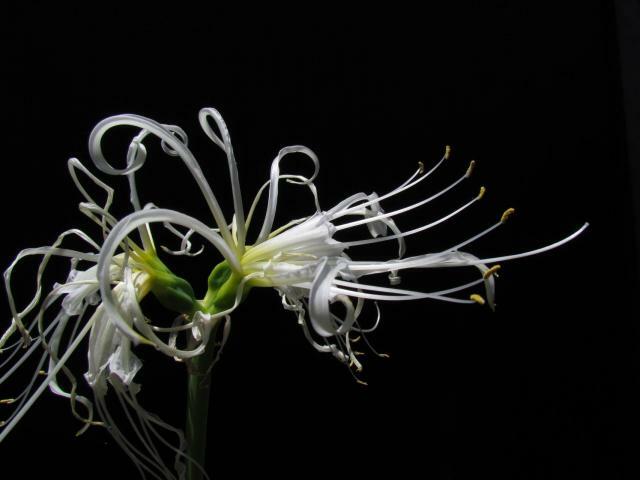 In Hymenocallis the leaves never form a prolonged pseudostem, flowers are sub-erect to erect, and the staminal cup is never striped green within. 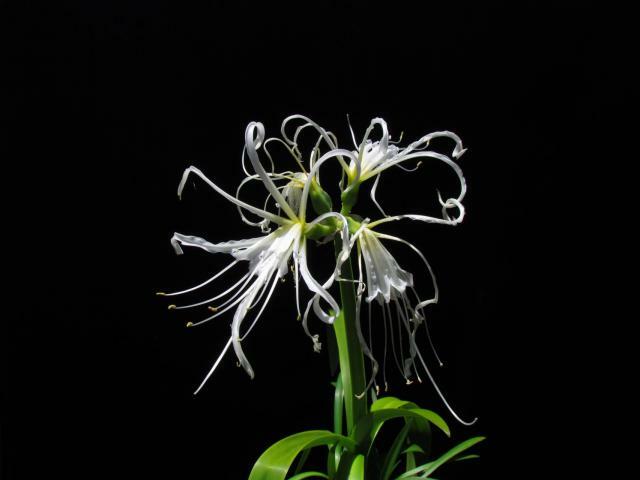 Hymenocallis is mostly absent from South America (native in northern South America only and never in the Andes). 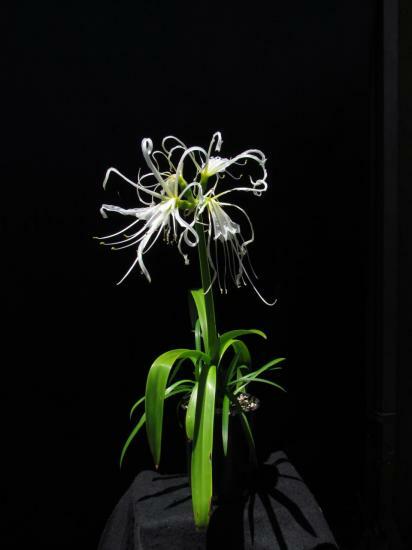 Hybrids of Ismene, Hymenocallis, Elisena, and Leptochiton can be found on the IsmeneHybrids wiki page. 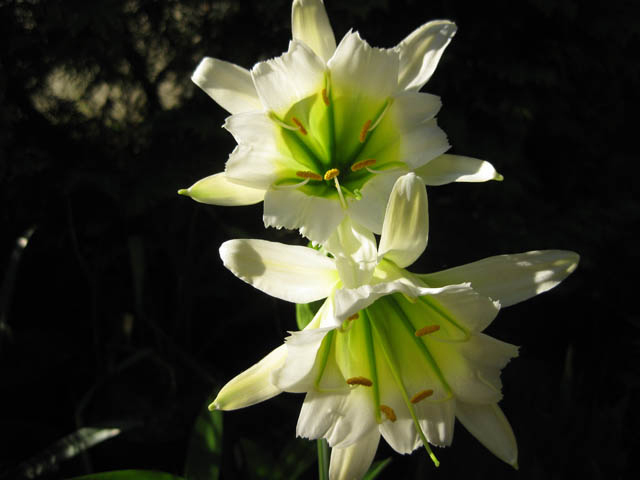 The plants known as Ismene × festalis and Ismene 'Sulphur Queen' will be found on this page. Ismene amancaes (syn. 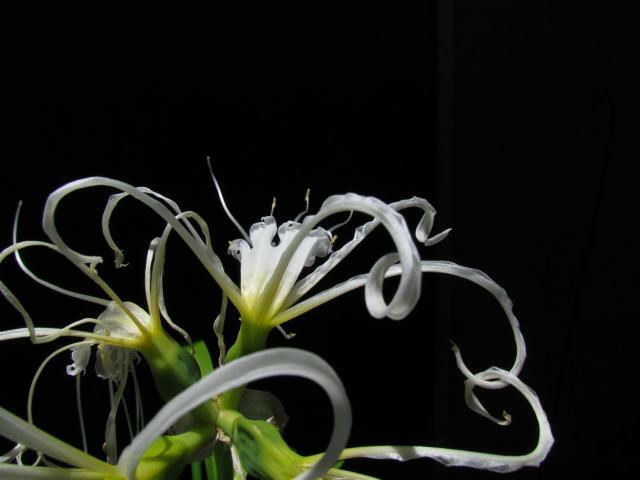 Hymenocallis amancaes) is native to Peru. 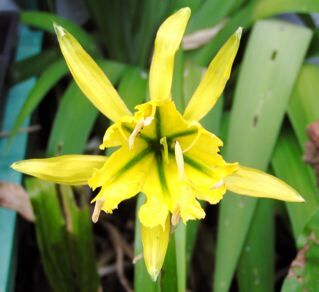 It has a bright yellow flower with a green striped staminal cup. In habitat, it flowers before the leaves appear. 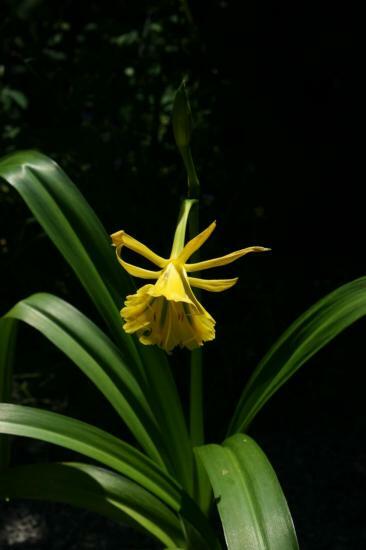 In the Bay Area, it flowers after the leaves appeared in August. It is a summer-growing, winter-dormant species. During winter dormancy, keep the medium barely moist. Photo taken June 2006 by Lee Poulsen. Photos 2-6 were taken by Nhu Nguyen. 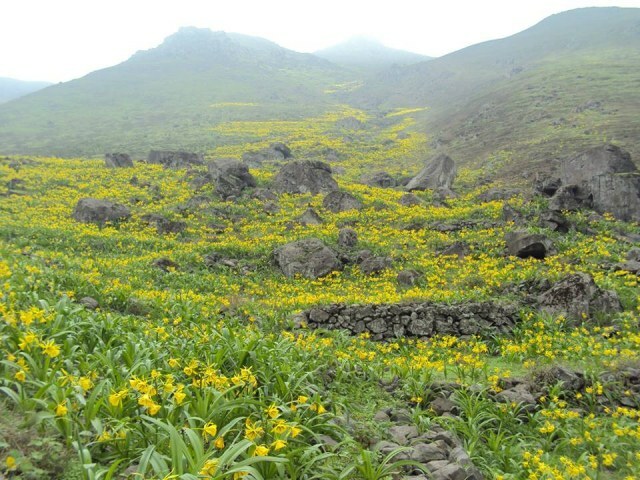 Photographs taken by Norton Cuba, who comments "they are from the original place where they grow in Lomas of Lima (lomas is the Spanish for hills), the flowering process happens in between June and July every year. 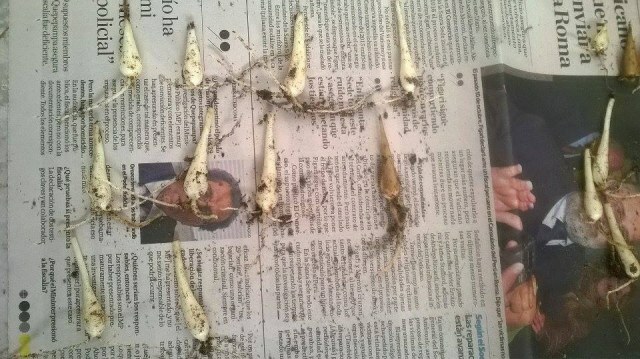 The picture labelled "seeds" is from what I germinated last year, they have small fleshy green photosynthetic seeds so they can germinate as quick as they fall to the ground, then they form a small bulb and stay put 'till next year where they have their first cycle. The last picture labelled "bulbs" is what I harvest from the seeds I collect, so 29 of 31 seeds where able to germinate and form a bulb". 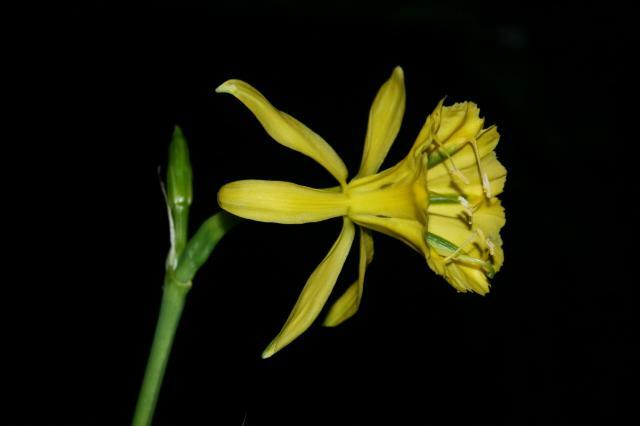 Ismene hawkesii (syn. 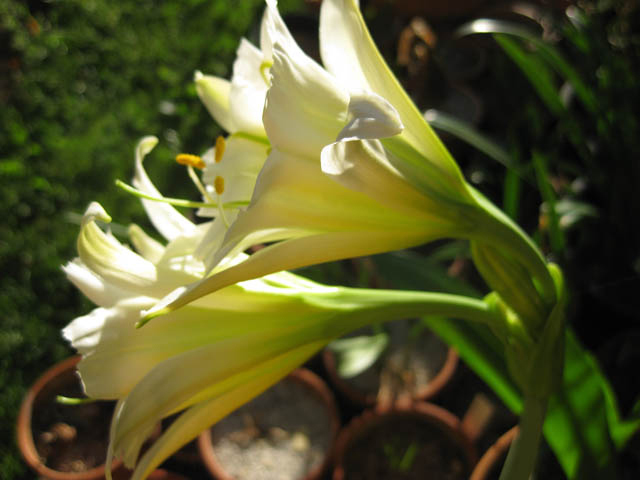 Hymenocallis hawkesii) is native to the Cusco area of Peru. 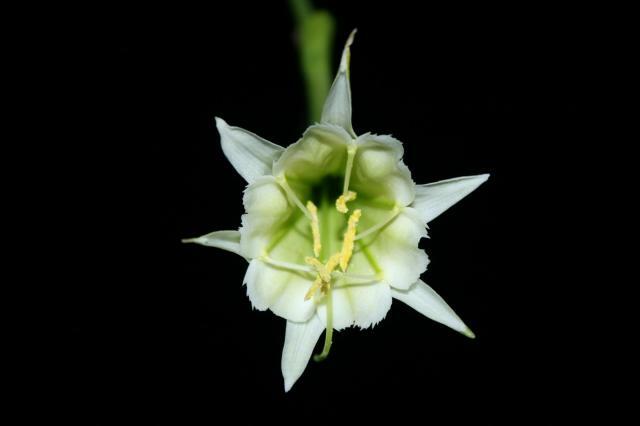 It is one of the few species of this genus in cultivation. 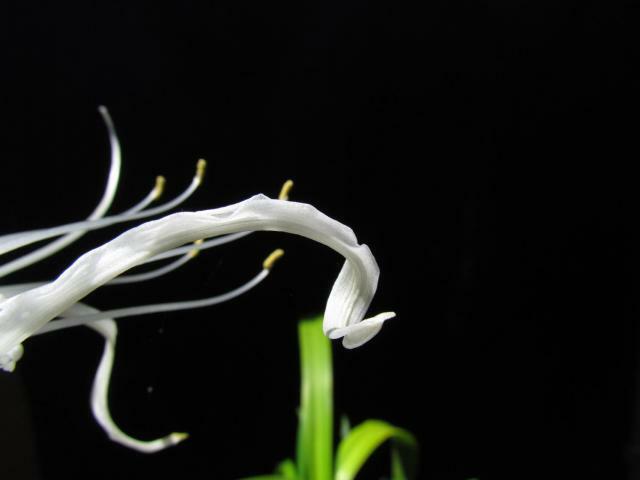 It is deciduous and blooms before the new leaves are fully grown. 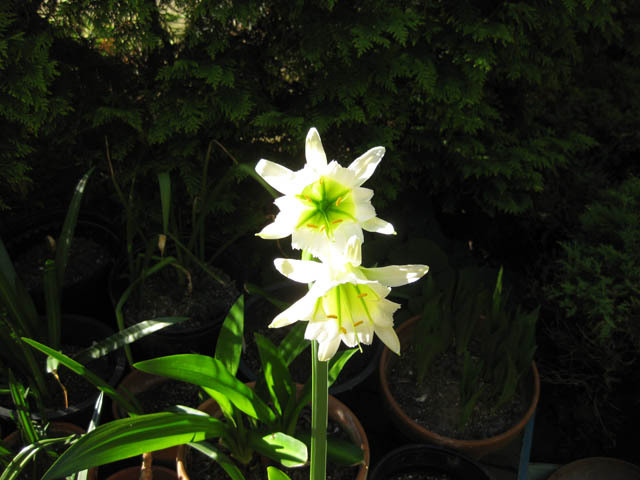 Dell Sherk grows it in a pot outside during the summer and let it sit dry during the winter in a cool greenhouse. He uses a mix of gritty, well-draining bulb mix and feeds with Osmocote and occasional extra potassium cocktail (dilute potassium chloride, potassium phosphate or an organic potassium supplement). Photos by Dell Sherk taken in June 2010. 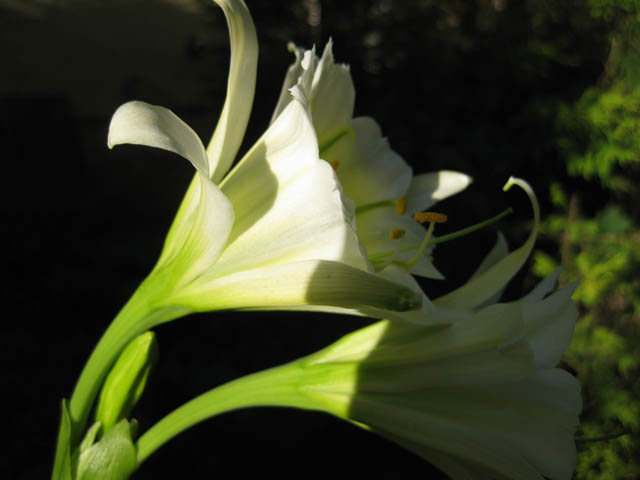 The photos below were taken by Nhu Nguyen, grown in the San Francisco Bay Area. 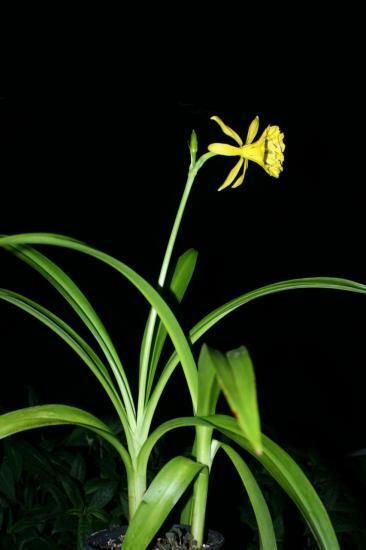 Ismene longipetala is native from southwestern Ecuador to north western Peru. Plants are summer-growing and winter-dormant. It should be grown as other Ismene species. 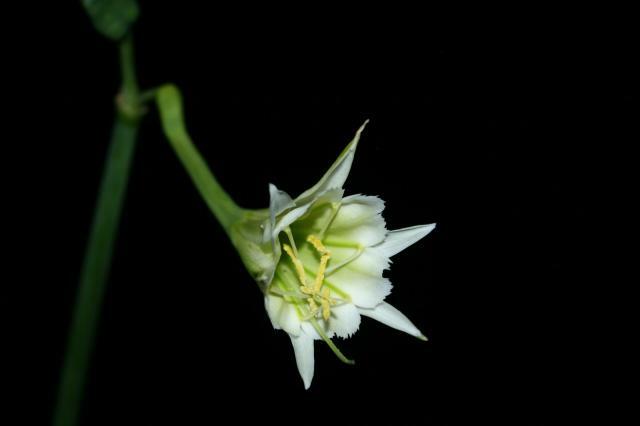 The photos below were taken by Nhu Nguyen of plants growing in the San Francisco Bay Area.